Just before we left Langdon Hills Primary School, we went on a school trip to the Houses of Parliament. The local MP Eric Moonman gave us a guided tour. The date on the newspaper cutting appears to be 13th May 1966 although the year isn’t very clear to read. Having checked online the 1960s calendars, the only year when 13th May fell on a Wednesday was 1966. 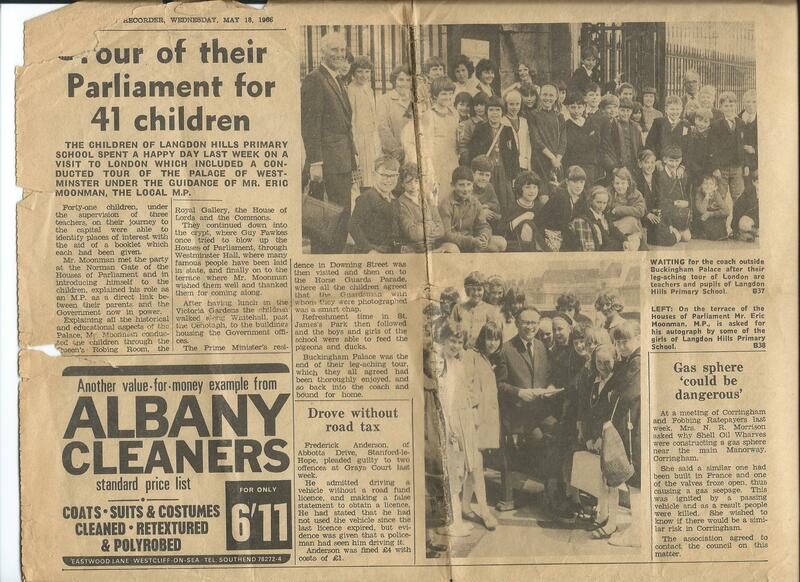 This was the year that Eric Moonman was elected as Labour MP for Billericay. Do you know what year this was please?